Today will be a Lockshop Wigs review and your first real glimpse at my face! Wonderful. This is my second time ordering from Lockshop. I made my order on 24th August and received 4 e-mails total in regards to my order and it's status. My package arrived on 31th August. The shipping was very fast and the communication was very good. Follow the cut for pictures galore! The tissue paper was sealed with this adorable Lockshop sticker! Now before I continue. 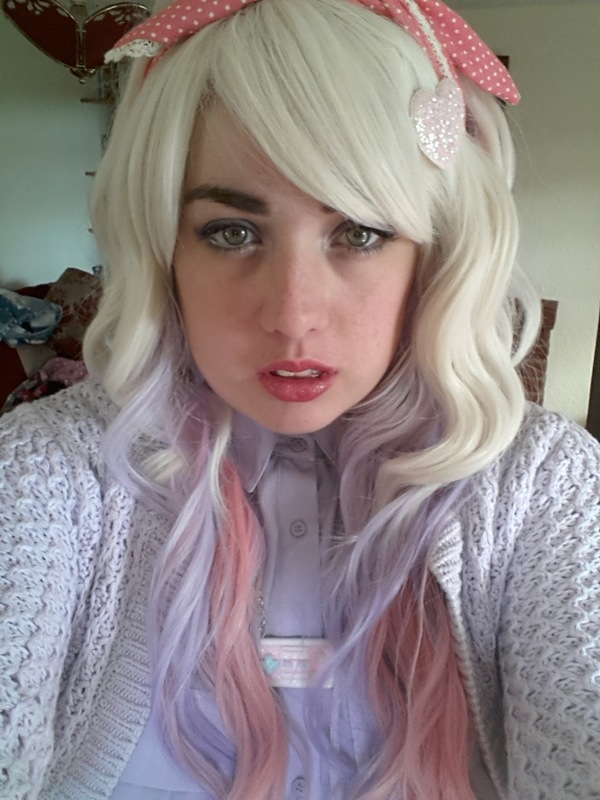 I have very dark hair / eyebrows, so I have always avoided lighter colour wigs. 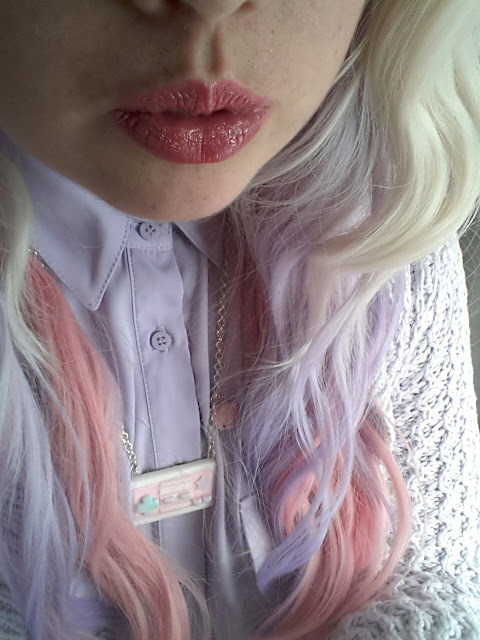 I have loved the idea of having pastels in my hair for years but I don't really have the nerve to bleach my hair. 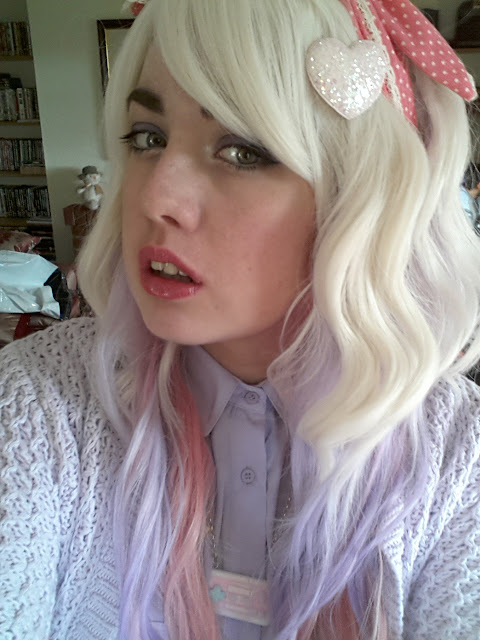 So for me wig's have always been an amazing way to mix up your hair without damage or drastic colour changes. This is my first lighter coloured wig....by lighter I mean it's platinum blonde. I was quite worried about mixing this with my eyebrows but I've seen it done before. Plus I am a believer if you're confident enough in what you're rocking then you can make almost anything work! I know Lockshop have amazing quality products so I decided my first light wig should be from here. Nina (The owner) is constantly working to provide the best quality wigs at a good price. If she is not happy with a product's final appearance she always sell it at a discounted price rather then trying to fob it off at a higher unfair price. Enough of me talking! Back to the photos! It also comes wrapped in a thin "fishnet" type material and has a Lockshop tag on it. 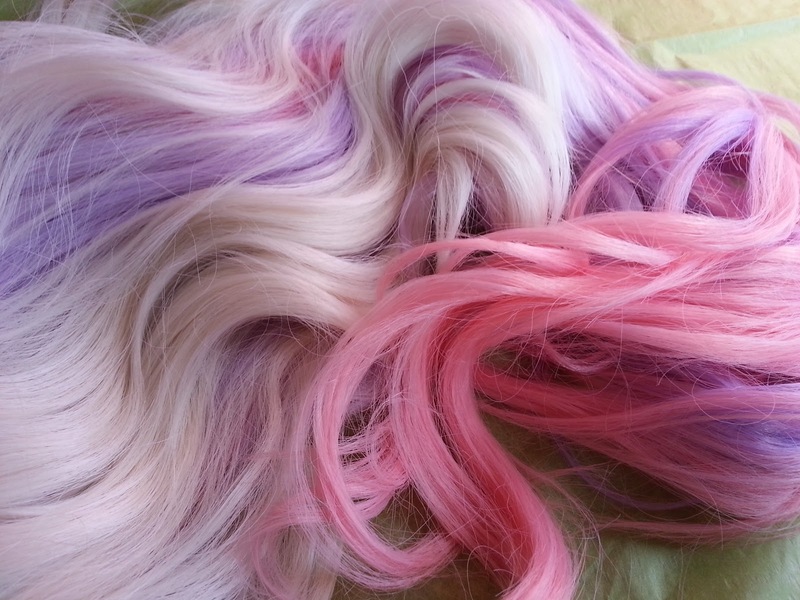 The two wigs I own from Lockshop I love more then all the rest put together. The quality is wonderful, the products always look like they do in the pictures. The addition of a skin top helps to make the wig look more realistic. I love that the fibres are synthetic but not shiny and I was amazed at not only how soft the wig was but how little it tangled! The colours are very pretty and blend well into each other! The pricing is fair and the shipping was incredibly fast. I recommend you add them on Facebook for updates, news and if you ask questions they will always get back to you! Thank you so much! I was realllly worried I wouldnt :( Im so happy it looks nice though! I hope if you do adventure into wig world that it works for you! Lockshop do really nice ones that look really natural! hi, it does really suit you.